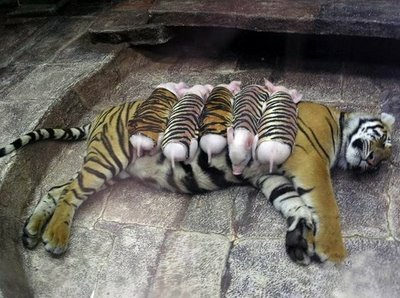 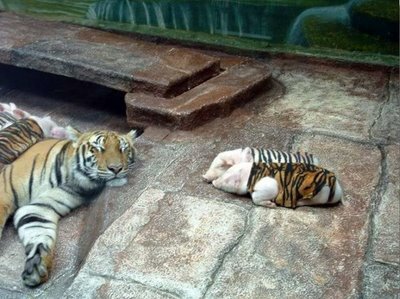 In Thailand a royal Bengalese tigress playing with baby pigs at a zoo in Chonburi province, 80 km east of Bangkok. 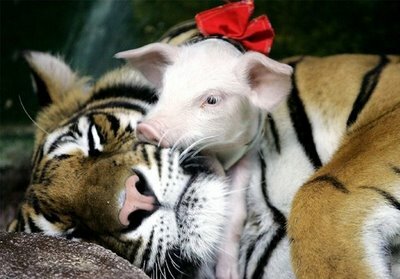 The tigress was born in Captivity and breast-fed by a female pig for four months after her birth. copyright (C) http://pedhi.blog72.fc2.com memolink （・u　・　）っ all rights reserved.